On the last day to sign or veto bills passed in the 2016 Georgia legislative session Gov. 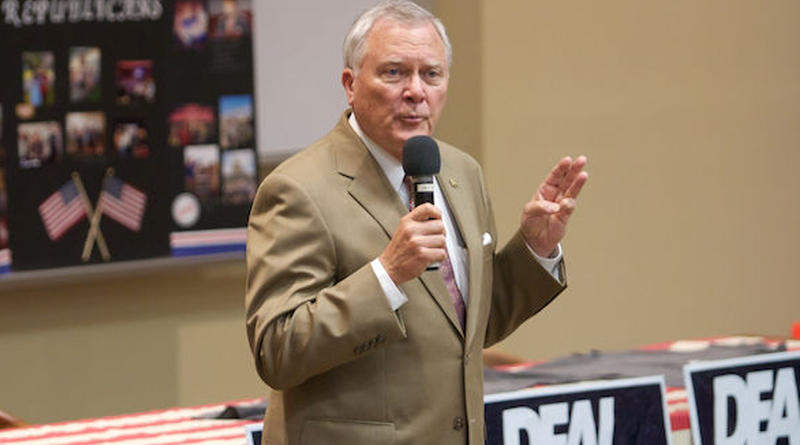 Nathan Deal vetoed House Bill 859, the “Campus Carry” bill. This comes after Deal already went against the state legislature by vetoing the “Religious Freedom” bill earlier this year. HB 859 would have allowed guns to be concealed carried on campus. The bill faced vocal opposition from Hank Huckaby, the University System of Georgia chancellor, University of Georgia president Jere Morehead and several student organizations on campus, among others. An anonymous online Red & Black poll from showed about 62 percent of the student body opposing the bill, and recently, notable UGA alumnus Tituss Burgess and former student and R.E.M band member Michael Stipe have come out against the bill. In a survey taken at Georgia Tech, approximately 70 percent of the respondents opposed the bill. The bill would have allowed people 21 years and older who have a concealed carry permit to carry guns everywhere on campus, except for in residence halls, Greek houses or at sporting venues. The bill, based on a bill recently passed in Texas, would have made Georgia the ninth state to pass such a law.